The face cream and the furniture polish have the same basic recipe. I quite like the thought of that! I did add vitamin E oil to the face cream and broke some lavender flowers in to the polish though. The jury is still out regarding the moisturiser – some people in the family are allergic to all store bought creams and break out in rashes, pimples and is some cases small weeping sores from them – and it takes about 2 weeks of consistent use before the problems start. The product feels lovely on the skin and I, for one, ( no allergies) shall be using it during the winter on hands, feet, face and especially lips while working outdoors in the cold. The furniture polish worked very well on my wood wardrobes, and one can use it for dining tables and all wood food prep surfaces since it does not contain any toxins. 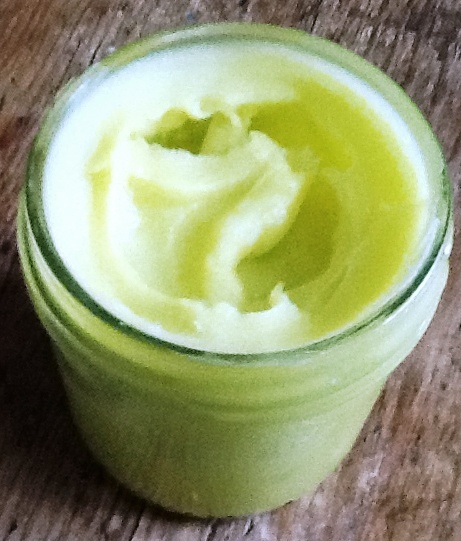 1 part beeswax. If you are lucky enough to get your hands on honey combs you can clarify your own wax or you can buy some from beeswax suppliers. 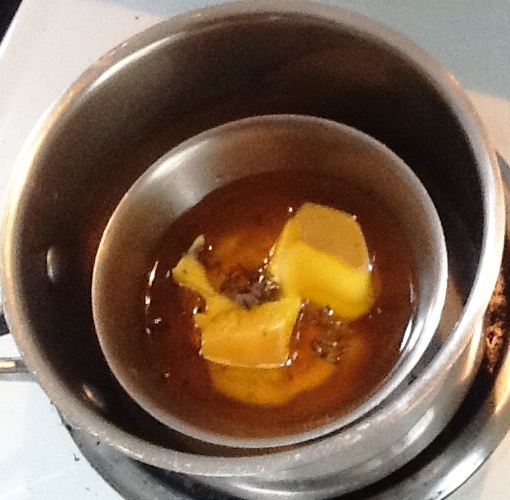 Create a double boiler from two pots, the bottom one with water and a small spacer, I used a saucer, place the beeswax and olive oil in the top pot and heat. When clear and melted remove from the heat and add vitamin E oil or lavender flowers. Pour in to containers while hot and stir while cooling. At my age, I just tell them off! Let us know the essential oils outcome!